It's super easy to read this guide: The photos are in order of most to least tasty, from left to right, top to bottom. The items in the first row were all "very delicious", the second row tasted "good", and the third row tasted "just okay". None of them were too disgusting to eat, but I didn't feel like wasting the calories to finish my samples of the third row. 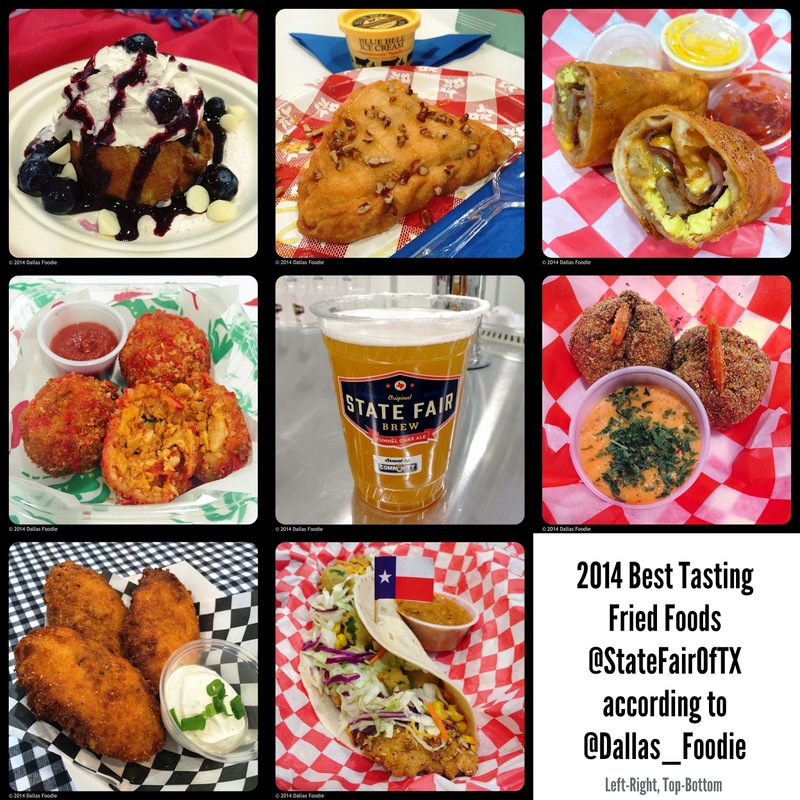 You won't find this ranking in the state fair's guide book, so save this image, print it out, bookmark this blog page, or favorite my Tweet about it! Below you'll find my detailed reviews and large photos of each item as they were live-posted to my Facebook Page from the judging event.